Update, 11:46 p.m.: Congresswoman Yvette Clarke, who represents New York’s 9th District, took the floor and recalled former Councilman James E. Davis, who was gunned down in City Hall in 2003. “From that day forward, the chemistry in our town has never quite been recalibrated,” she said. Davis, who was also a police officer and correction officer, was credited with forming the group “Love Yourself, Stop the Violence,” which was dedicated to ending gun crime, teen pregnancy and drug use. Stay tuned, ‘cause this post will be updated. 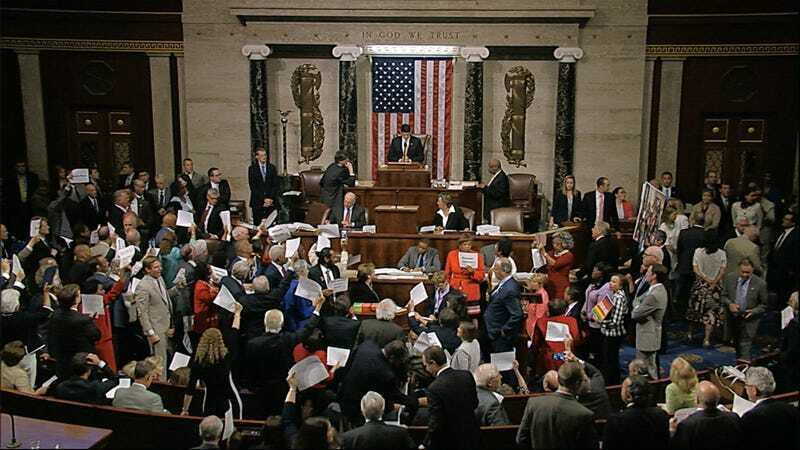 For the full spread of 140-character commentary, follow #NoBillNoBreak on Twitter.